The RR versions are like track athletes in training for a race. They thrive in uncluttered, flowy environments where they can stretch their legs and open their lungs but also cruising comfortably at slow speeds. Where we found it least comfortable, was in the short bursts with long red-light stops situations. If you mainly ride short bursts in high traffic situations, you would not be doing the bike nor yourself any favours. The standard model is your healthy individual. It performs well if a bit of performance is required but it is also comfortable in the stop-start day to day life situation. 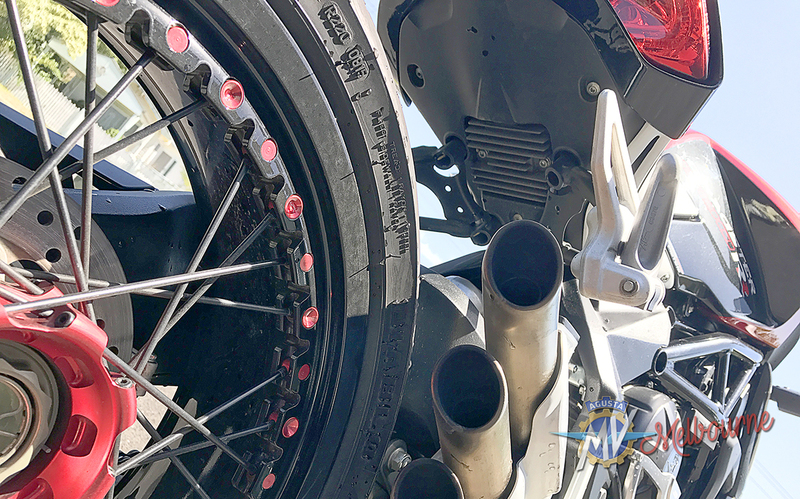 For the MV Agusta Dragster RR, even when cruising the engine note lets you know that it is holding back… and holding back a lot! The purr that the standard model has at low speed is instead a booming, contained energy of excitement pleading to explode out of the airbox. It’s incredible! You hear this and feel this at all times that you are below 5,000rpm. When you let loose, the snarl that the standard Dragster turns into a bark is instead an exploding screaming force launching the Dragster RR forward instantly demanding more wrist grip and forearm flex to hold on. With the superbly balanced steering damper and launch control, there is no shake nor semblance of vibration (even tank-slapper) in this incredibly stable machine. On the freeways and highways, this configuration breathes so well that whether the speed limit is at 50kph / 60kph / 80kph / 90kph or 100kph, there is no hint of skip, choke or stall. The only scenario we have found the RR not too happy in, is in short bursts with long waits between red lights on a 30+ degree day. It’s a performance evolution; the RR is ideally suited for continuous flow situations where you also get to lean in sweeping or tight corners; demanding more from the brakes; and punching out to exit tight corners… and of course, also ideal for the occasional track days thrown in between! 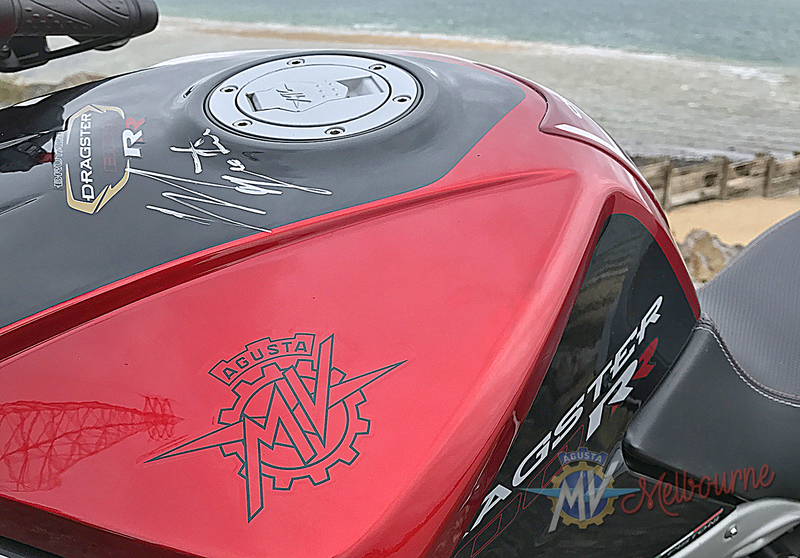 Whilst this Giacomo Agostini signed, MV Agusta Dragster RR is there on our showroom floor Book an appointment with Michael to see, hear and feel this demo! Who knows? It might rightfully end up in your own garage if this bike satisfies your riding purpose and you love it as much as we do.